Tipton Community School Corporation will have an eLearning Day on Monday, April 8. This is the last of four eLearning Days scheduled for the 2018-2019 school year. eLearning Days are designed to provide a virtual learning opportunity for students in grades K-12 that supports our school corporation’s goal of making technology an integral part of the education process. eLearning Days may also be used in case on bad weather. The eLearning Plan can be found on the corporation's website. 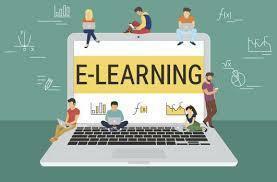 Virtual lessons given on eLearning Days are an extension of the current classroom curriculum. Students will receive their assignments by Friday afternoon (April 5). This will allow parents to provide any needed assistance throughout the weekend and not have to wait until Monday. Like a normal school day, student assignments must be completed by the next school day.